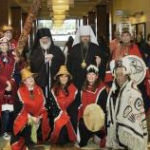 Metropolitan Jonah and Bishop Benjamin are greeted by Alaskan dancers upon their arrival at the 16th All-American Council. 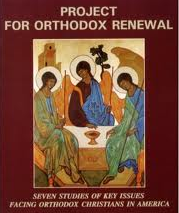 The draft Strategic Plan for the Orthodox Church in America was a major focus of the recent 16th All-American Council. Four of the eight plenary sessions focused in part or in-to on the Strategic Plan. The heart of these activities were two three-hour long workshops focused on each of the 10 top priority goals – with participants having the opportunity to further develop the goals and to identify initial projects that they, the participants, networked together could do to help achieve the goal. The Strategic Planning workshops were very well received and very productive. Approximately 400 of the 600 delegates and observers participated in these workshops. Participants were very actively engaged, in some cases forgoing breaks to continue working on their goal and projects. Lots of good, new ideas emerged from the workshops, including modifications to the existing draft plan and the identification of over 30 potential initial projects that the participants networked together could accomplish. In fact, more than 150 of the participants signed up to continue working on the implementation of these projects beyond the AAC. In the final strategic planning wrap-up session, an informal, non-binding vote on three specific recommendations was taken. That the OCA proceed with implementing the general directions of the Strategic Plan. 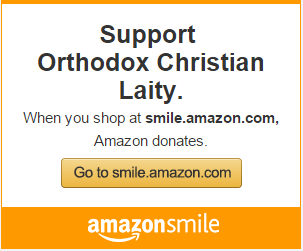 That the Metropolitan Council form a Post-Conciliar Committee (PoCC) to oversee the implementation of that plan. That the Metropolitan Council pursue alternate funding sources to support the resulting initiatives. Each of these recommendations received an overwhelming vote of approval from the AAC delegates. Based on that overwhelming vote of approval, the strategic planning has now transitioned into an implementation phase. The draft Strategic Plan is being revised to reflect the inputs from the AAC Council. The Strategic Planning Committee will serve as an interim Post-Conciliar Committee (iPoCC) until the Metropolitan Council can form a permanent committee. The volunteers from the AAC Workshops will form the cores of implementation teams for each of the 10 goals and will continue to define and develop the initial projects – the first steps – in attaining those goals. And a call will be placed on oca.org or others, throughout the Church who would like to be part of these implementation teams.